Would you like to take a 2-credit archaeological excavation course (CLCV 300) this summer? 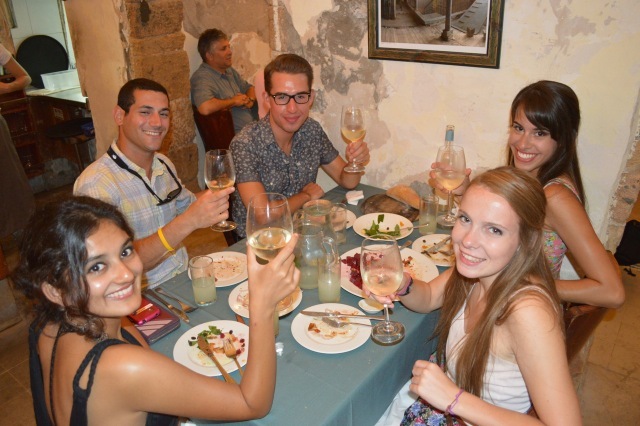 The link to the Trinity website for the dig is http://www.trincoll.edu/UrbanGlobal/StudyAway/Summer/Pages/Akko-Summer.aspx. The precise fee has not yet been determined, but will probably be around $6000 and includes tuition, room, all meals (unless you choose to eat out occasionally at one of Akko’s many great restaurants), field trips, equipment, supplemental insurance, laundry, sheets, towels, cleaning, and the end-of-season party at local restaurant. We stay at the Israeli Naval Academy in dorm rooms that are air-conditioned quads, each with a private bathroom. Akko — Acre in the Middle Ages — is one of the oldest continuously inhabited sites in the world. It has yielded material dating from the early Bronze Age through Greek and Roman antiquity and the Middle Ages to the present. Student arrival date at Nautical Academy: Sunday June 29th (departing from the US on Saturday June 28th) Student departure date from Nautical Academy: Saturday July 26th. This entry was posted in Uncategorized on March 11, 2014 by Gary Reger. The damaged wall of a tomb at the ancient ruins of Pompeii, near Naples in southern Italy. 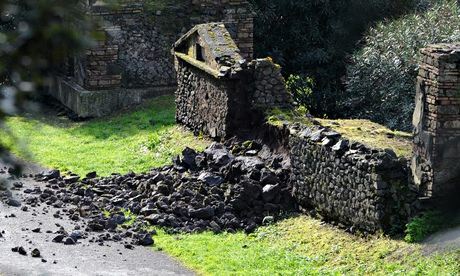 Italy‘s culture minister demanded explanations on Sunday after more collapses this weekend in the ancient Roman city of Pompeii raised concerns about the state of one of the world’s most treasured archaeological sites…. read on here. This entry was posted in Uncategorized on March 3, 2014 by msafran.